Good morning! Heather here today to share some fun sparkly Christmas tags - just in time for packaging up those Christmas gifts and goodies and making them sparkly and fun! I used lots of different Confetti Cuts for these - mixing together some older and newer ones. 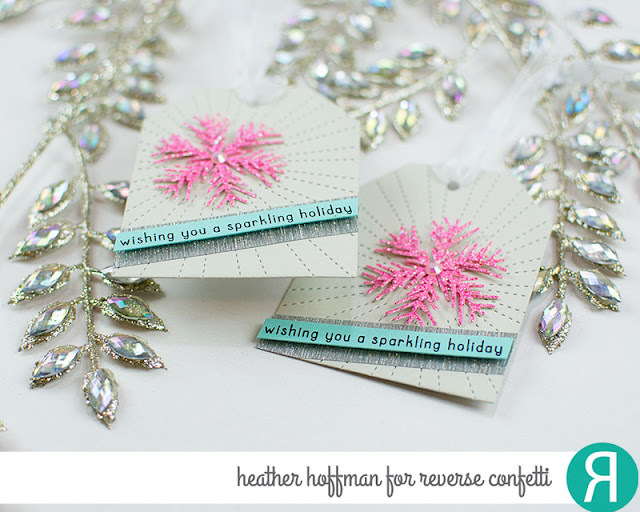 The base of the die is from Topped Off Tag Confetti Cuts, die cut from Stone Cardstock. 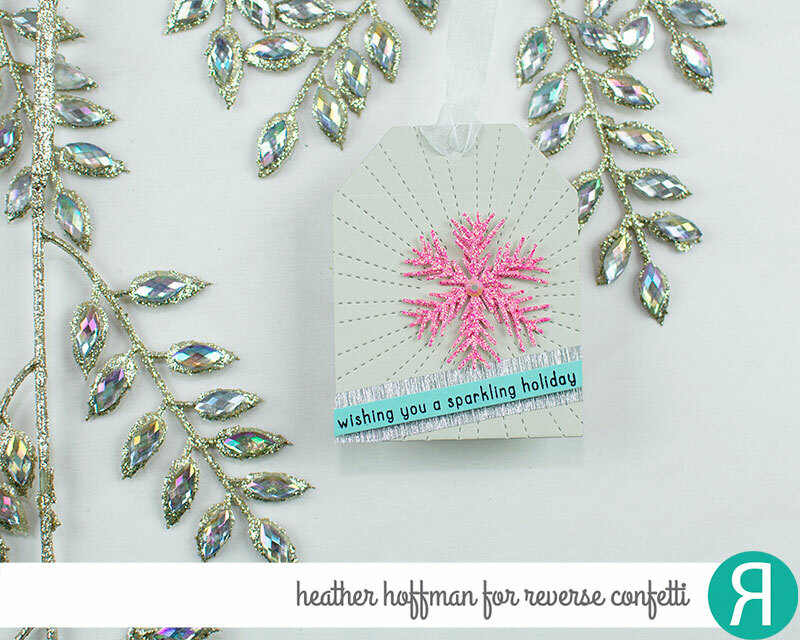 I used Stitched Rays Cover Panel to add the texture to the tag, and Snowflake Trio Confetti Cuts to die cut the sparkly snowflakes. 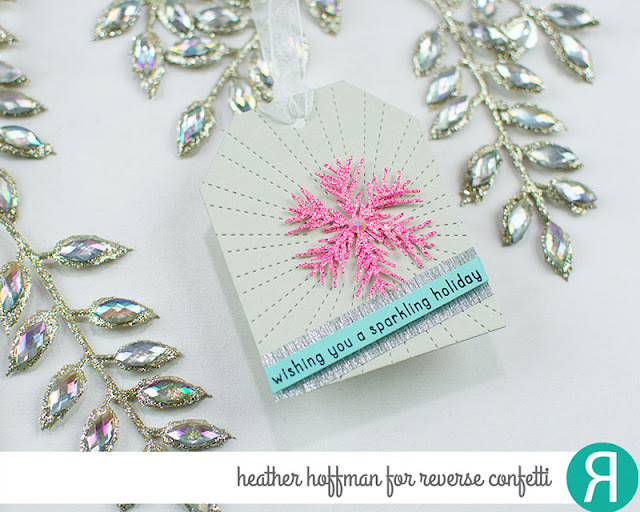 The sentiment from Triangle Trees is stamped on a thin strip of Iced Aqua Cardstock. 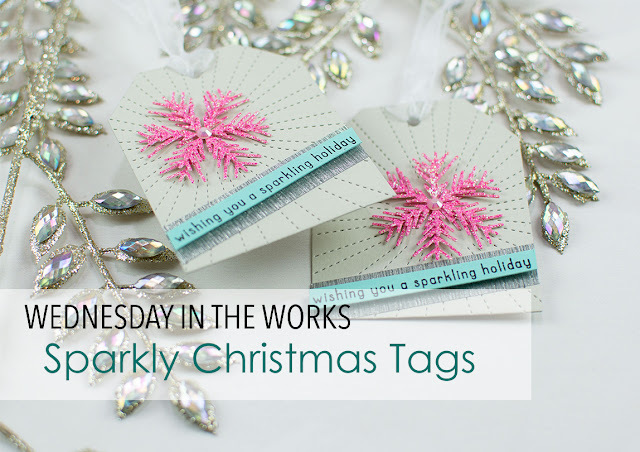 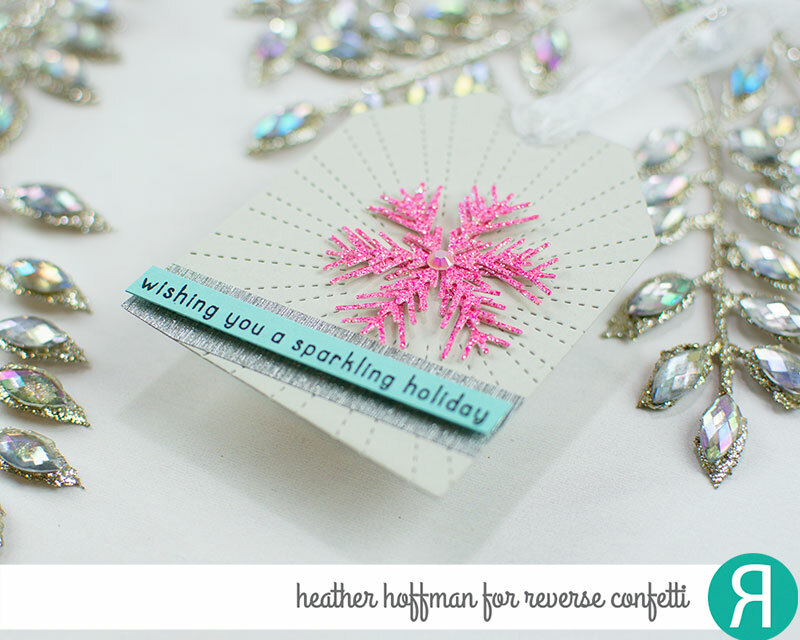 A bit of glitter washi tape and a jewel for the center of the snowflakes finishes these off!